Energy need: NTPC’s Gandhar power plant in Gujarat. 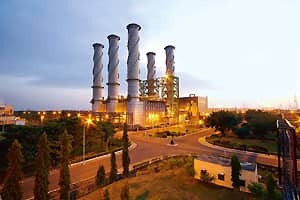 New Delhi: The government has approved a sweetheart deal for NTPC Ltd by which the utility’s two plants in Gujarat can avail subsidized gas and at the same time not lose out on its rights to existing allocation of gas from Reliance Industries Ltd (RIL). The state-owned utility that is involved in a legal dispute with the Mukesh Ambani-promoted RIL over contracted supplies of gas for the expansion of two plants at Kawas and Gandhar in Gujarat, had refused to take gas from the company, allotted to it by the government, for these two plants out of fear of weakening its position. By doing so, it risked losing out on its share of allotted gas. However, following the decision of an empowered group of ministers, or eGoM, on Tuesday, NTPC can now get cheaper gas (or the so-called administered price mechanism gas, or APM gas) without changing its position and at the same time not forfeit its rights to the gas allotted to it. The eGoM decisions do not need to be endorsed by the cabinet and are therefore effective executive orders. “We wanted the redistribution of administered price mechanism gas supply meant for Anta, Auraiya, Dadri and Faridabad to Kawas and Gandhar projects. The eGoM has approved this now. This will benefit NTPC," said union power secretary H.S. Brahma. As part of the first round of gas allocation from RIL’s D6 block in the Krishna-Godavari (KG) basin off the east coast of India, the government had allocated 2.67 million standard cu. m per day (mscmd) of gas to NTPC projects, of which 2.06 mscmd was to go to the utility’s two Gujarat plants. However, the utility signed a gas sale and purchase agreement on 23 September with RIL for only 0.61 mscmd of gas for its projects at Anta, Dadri and Faridabad as it feared that signing a gas deal for Gujarat projects would affect its position in the case it is fighting in the Bombay high court. However, NTPC risked losing the rights to this balance 2.06 mscmd of gas, a scarce fuel, if it didn’t sign the agreement. To avoid losing out on its allocation of natural gas, NTPC was lobbying the government to intervene and redirect this gas. Mint had reported this on 9 July. The swap will work like this. The balance allocation of 2.06 mscmd has been increased to 2.71 mscmd, which will be supplied to the Gujarat projects from NTPC’s own allocation of 9 mscmd of APM gas which is meant for its national capital region (NCR) projects at Anta, Auraiya, Dadri and Faridabad. As part of the swap, the same amount will be made good at the NCR projects through RIL’s gas from the D6 basin. While RIL’s gas is priced at $4.2 per mmBtu, the APM gas, which is available in limited quantities, is priced at around $2.30 per mmBtu. The price of APM gas is subsidized and mandated by the government. While an external spokesperson for RIL declined comment, a top NTPC executive, who did not want to be identified, said: “This arrangement will help us in generating cheap electricity at Kawas and Gandhar projects and also help us in safeguarding our legal position."